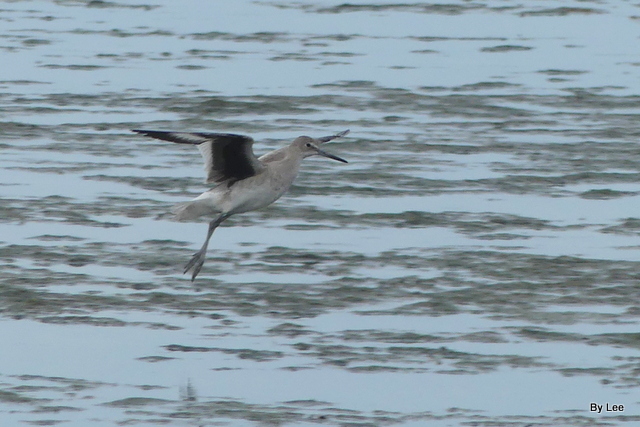 Previously, we were at Merritt Island NWR and had seen some Willets and I needed help identifying some birds. 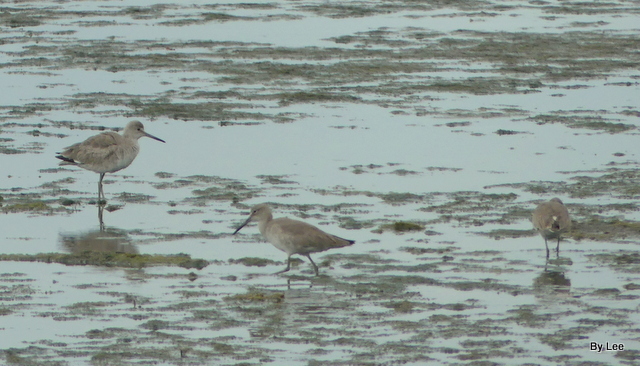 One of them turned out to be a Willet. I have seen them before, but not very often. 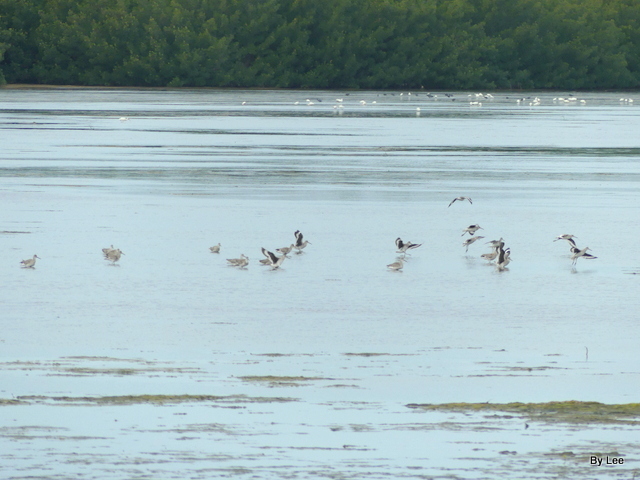 Today, we went to Ding Darling NWR over on Sanibel Island, right nearby Fort Myers, Florida. Today was very cool, around 48-50 degrees, overcast, and very windy. Not a great day for birdwatching, if you have a small temperature range like I do. :) My range is between 65 and 80 degrees. Anyway, back to the adventure. 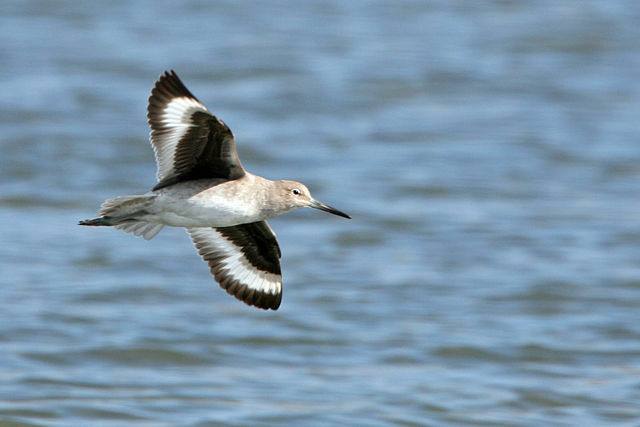 “Yes, they are.” Then she said, “I am a biologist and a Shorebird specialists.” About that time, one of the Willets from another group flew by us and she told me that the black and white wing bars are a great clue. 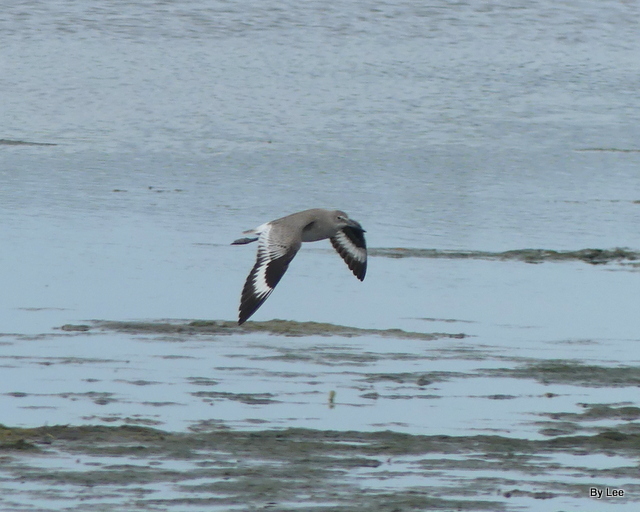 Also, they are one of the largest shorebirds in this area. One of the great things about birdwatching is the helpfulness of other birders. Most are willing to share their experience and knowledge about these Avian Wonders from our Creator. 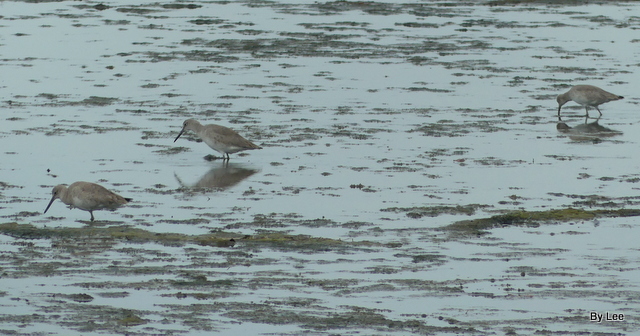 Now I have another way to help figure out that I am looking at a Willet. 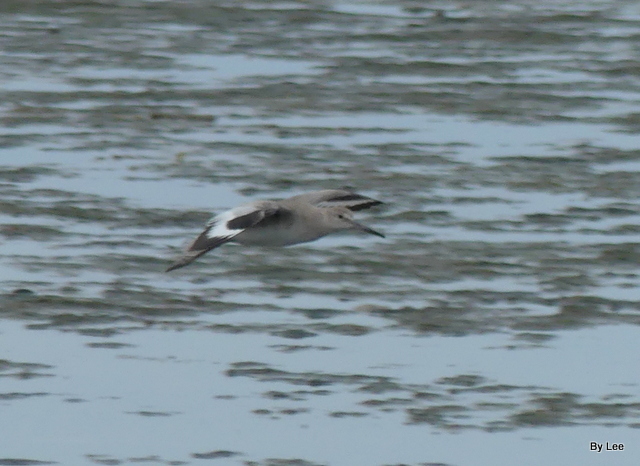 As we continued to watch and talk, a group of the Willets flew over and landed. It was nice to see all those black and white markings. Once they settled down, close their wings, all that “clue” is again hid. 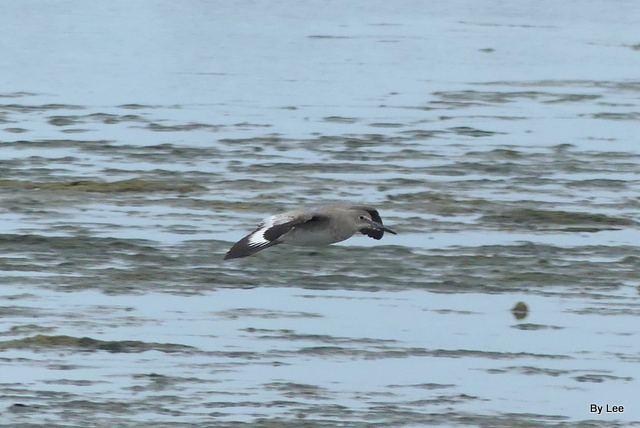 Oh, the joys and challenges of birdwatching. By the way, looking back over previous photos, we were last at Ding Darling in July of 2008. It has been some time since we were there and there were many more birds. Could it be because it was in July and WARMER??? 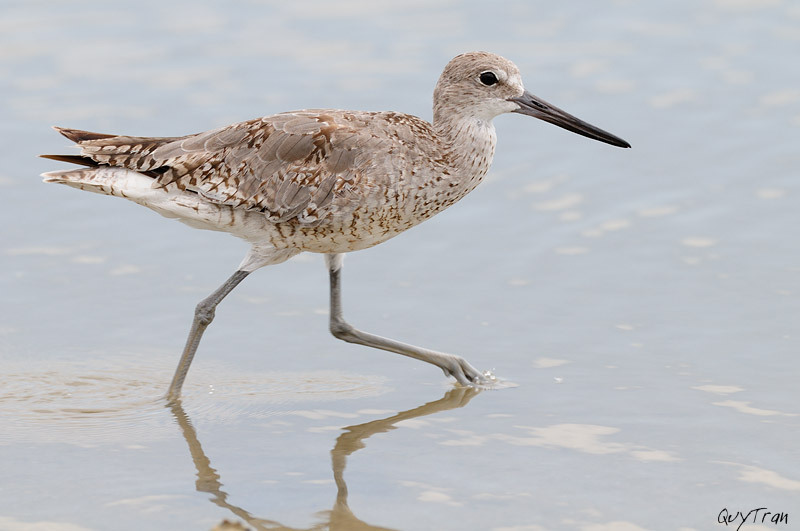 Because they find prey using the sensitive tips of their bills, and not just eyesight, Willets can feed both during the day and at night. 2. Disposing of by will. 1. Free to do or grant; having the mind inclined; disposed; not averse. Let every man give, who is able and willing. Felix, willing to show the Jews a pleasure. Acts 24. He stoopd with weary wings and willing feet. 4. Chosen; received of choice or without reluctance; as, to be held in willing chains. 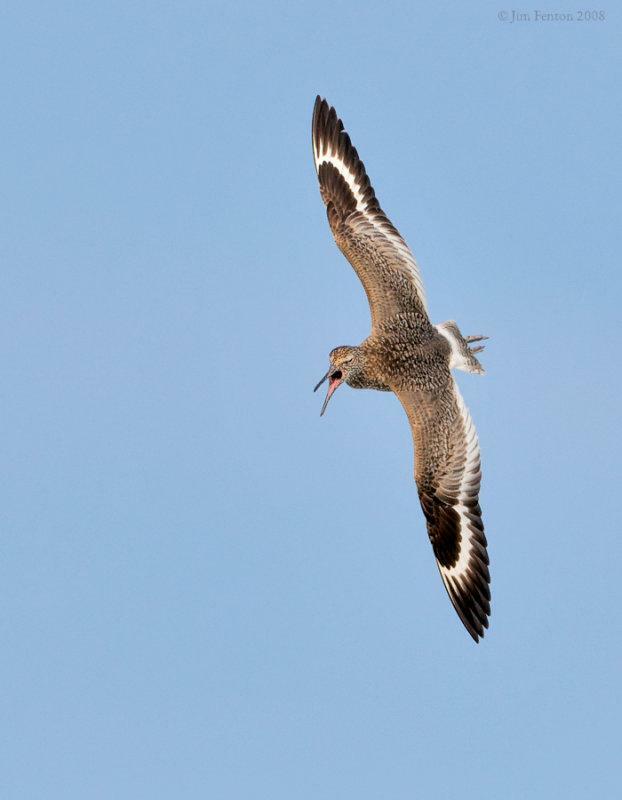 The Willet (Tringa semipalmata), formerly in the monotypic genus Catoptrophorus as Catoptrophorus semipalmatus, is a large shorebird in the sandpiper family. It is a relatively large and robust member sandpiper, and is the largest of the species called “shanks” in the genus Tringa. Its closest relative is the lesser yellowlegs, a much smaller bird with a very different appearance apart from the fine, clear, and dense pattern of the neck, which both species show in breeding plumage. It breeds in North America and the West Indies and winters in southern North America, Central America, the West Indies and South America.